Everyone desires bright, natural light in their home and businesses but sometimes too much unfiltered sunlight can cause problems. Solutions can be limited when you don’t want to reduce the light or sacrifice the view by installing blinds or drapes. Tinted windows installed by a professional contractor like Colorado Glass Solutions in Longmont is an affordable way to keep the sun coming in while stopping energy loss and preventing damage from UV rays. Energy Savings: Tinted windows not only minimize heat gain in the summer but also heat loss during the colder months. The increased energy efficiency will make your space more comfortable while at the same time lowering your energy bill! 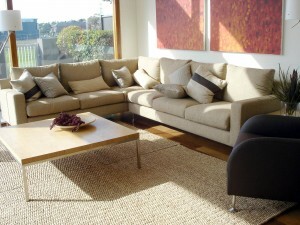 Protection from UV Rays: Over time, the sun will fade upholstered furniture, carpet, wood and artwork. Most window films reduce ultra violet rays by at least 90%, some up to 99%. Tinting your windows will not only protect your possessions from damaging sun rays, but also your skin! Glare Reduction: We all enjoy sun-filled rooms but sometimes the angle of light coming in creates an unwanted glare on our TVs or computer screens. Applying a tint will reduce glare and allow you to keep the shades open! Privacy: Films are available that block the view from outside but do not obstruct the view from inside- a perfect solution in spaces where privacy is desired, such as the bathroom or any window positioned a little too close to the neighbors. Safety: Another side benefit to tinted windows is extra protection in case of breakage. When a window with security film breaks, the shards remain attached to the film which reduces the chance of injury and keeps the space sealed off from inclement weather. Keep enjoying the light in your home or business through tinted windows installed by Colorado Glass Solutions in Longmont- it’s a low cost but highly beneficial investment! Copyright © 2012 Colorado Glass Solutions, Inc. All Right Reserved.